Glenn Gould was born in Toronto in 1932, and enjoyed a privileged, sheltered upbringing in the quiet Beach neighborhood. His musical gifts became apparent in infancy, and though his parents never pushed him to become a star prodigy, he became a professional concert pianist at age fifteen, and soon gained a national reputation. By his early twenties, he was also earning recognition through radio and television broadcasts, recordings, writings, lectures and compositions. Early on, Gould’s musical proclivities, piano style and independence of mind marked him as a maverick. Favoring structurally intricate music, he disdained the early-Romantic and impressionistic works at the core of the standard piano repertoire, preferring Elizabethan, Baroque, Classical, late-Romantic and early-twentieth-century music; Bach and Schoenberg were central to his aesthetic and repertoire. He was an intellectual performer, with a special gift for clarifying counterpoint and structure, but his playing was also deeply expressive and rhythmically dynamic. He had the technique and tonal palette of a virtuoso, though he upset many pianistic conventions – avoiding the sustaining pedal, using dŽtachŽ articulation, for example. Believing that the performer’s role was properly creative, he offered original, deeply personal, sometimes shocking interpretations (extreme tempos, odd dynamics, finicky phrasing), particularly in canonical works by Mozart, Beethoven and Brahms. Gould’s American debut, in 1955, and the release, a year later, of his first Columbia recording, of Bach’s Goldberg Variations, launched his international concert career. He earned widespread acclaim despite his musical idiosyncrasies, while his flamboyant stage mannerisms, as well as his hypochondria and other personal eccentricities, fuelled colorful publicity that heightened his celebrity. But he hated performing – “At concerts I feel demeaned, like a vaudevillian” – and though in great demand, he rationed his appearances stingily (he gave fewer than forty concerts overseas). Finally, in 1964, he permanently retired from concert life. His retirement was also fuelled by his devotion to the electronic media. Gould was one of the first truly modern classical performers, for whom recording and broadcasting were not adjuncts to the concert hall but separate art forms that represented the future of music. He made scores of albums, steadily expanding his repertoire and developing a professional engineer’s command of recording techniques. He also wrote prolifically about recording and the mass media, his ideas often harmonizing with those of his friend Marshall McLuhan. Though he never became the significant composer that he longed to be, Gould channeled his creativity into other media. In 1967, he created his first “contrapuntal radio documentary,” The Idea of North, an innovative tapestry of speaking voices, music and sound effects that drew on principles from documentary, drama, music and film. Over the next decade, he made six more such specimens of radio art, in addition to many other, more conventional, recitals and talk-and-play shows for radio and television. He also arranged music for two feature films. Gould lived a quiet, solitary, spartan life, and guarded his privacy; his romantic relationships with women, for instance, were never made public. (“Isolation is the one sure way to human happiness.”) He maintained a modest apartment and a small studio, and left Toronto only when work demanded it, or for an occasional rural holiday. He recorded in New York until 1970, when he began to record primarily at Eaton Auditorium in Toronto. In the summer of 1982, having largely exhausted the piano literature that interested him, he made his first recording as a conductor, and he had ambitious plans for several years’ worth of conducting projects; he planned then to give up performing, retire to the countryside, and devote himself to writing and composing. But shortly after his fiftieth birthday, Gould died suddenly of a stroke. Since then, he has enjoyed a remarkable posthumous “life.” His multifarious work has been widely disseminated. He has been the subject of an enormous and diverse literature in many languages. 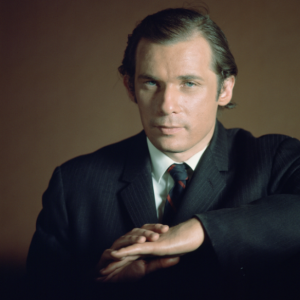 And he has inspired conferences, exhibitions, festivals, societies, radio and television programs, novels, plays, musical compositions, poems, visual art and a feature film (Thirty-Two Short Films About Glenn Gould). Moreover, his ideas – like McLuhan’s – still resonate strongly today in the world of digital technology, which was in its infancy when he died. His postmodernist advocacy of open borders between the roles of composer, performer and listener, for instance, anticipated digital technologies (like the Internet) that democratize and decentralize the institutions of culture. There is no question that Gould, more than any other classical musician, would have understood and admired digital technology – and would have had fun playing with it.